TransMath® is the unique prealgebra program for Hillsborough’s students needing more than the average core. 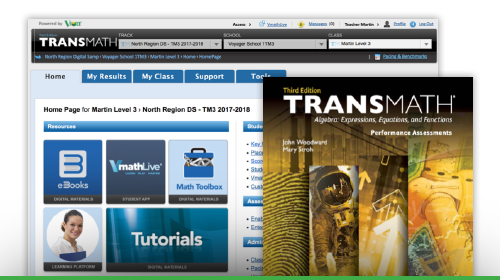 This Adoption Review Site was created for Hillsborough educators to learn more about the TransMath pedagogy and to review all components in a digital format. Please begin your review by downloading and printing the Reviewer Guide. Thank you for your consideration.